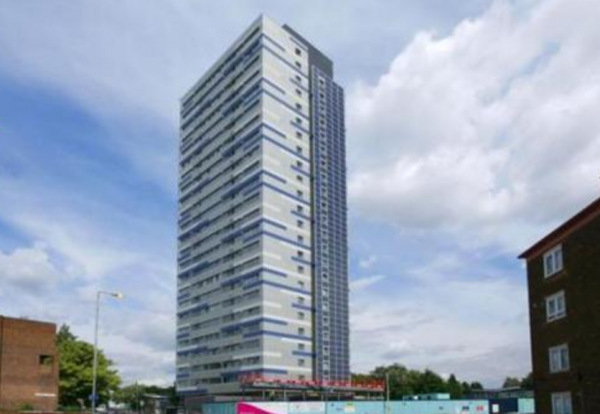 At least 20 high-rise blocks in London are believed to have a similar cladding system to that fitted on the Grenfell tower. Research by the Enquirer found that social housing buildings across the capital have been fitted with similar aluminium cassette rainscreen cladding to that used on the west London tower block which was engulfed in an inferno killing at least 17 people. The buildings – which range from 11 to 23 storeys – have all been retrofitted by cladding contractor Harley Facades. There is no suggestion that the contractor failed to fit the systems properly. But the use of similar aluminium rainscreen cladding raises the prospect that the buildings may be at risk until investigators find whether materials, design or installation issues contributed to the Grenfell tower disaster. Investigators looking into the Grenfell fire are now probing whether cheaper aluminium panels with a flammable plastic core were used on the building. The cladding used is believed to have been sourced from US-based Reynobond. The firm makes three types of panel: one with a flammable polyethylene core and two with more fire-resistant cores sandwiched between two thin aluminium skins. The polyethylene core, known as PE, is banned from being used in the US on buildings taller 12m for fire safety reasons. Questions are also being raised about the performance of widely-used expanded polystyrene insulation fitted behind the rainscreening to insulate buildings. Jon O’Neil, managing director of the Fire Protection Association, said that this type of material initially charred in fire tests and then within a short space of time fire got into the expanded polystyrene, shooting up the test panels. He added that in social housing widely used insulation materials of choice tended to be combustible or of limited combustibility. Insulation supplier Celotex yesterday confirmed its product, known as RS5000, was purchased for use in refurbishing the building. The products has class O fire performance and is specifically designed for use in high-rise rainscreen cladding systems. The issues raised will be of concern to the Government public enquiry called by Theresa May yesterday. MPs have also demanded a much faster response to reassure tenants in buildings both in the capital and rest of the country. Conservative MP Chris Philp said: “There must be an early interim report after a matter of a few weeks. “If there is any critical failing, for example like the cladding is highly flammable, which people are suggesting, we need to know about that in a matter of weeks.